Learn to Drive, Driving lessons, driving tuition, Driving school and driving instructor from Advance Driver Training. Based in the Morecambe and Lancaster area and covers Heysham, Lancaster University, Galgate, Carnforth, Caton, Halton, Kendal, Milnthorpe, Holme, Silverdale, Arnside, Burton in Kendal, Kirkby Lonsdale, Warton and Garstang areas. Covering Morecambe, Lancaster, Lancaster University, Heysham, Carnforth, Galgate, Kendal and surrounding areas. Learn to drive (learner driving school) in the Morecambe, Heysham, Carnforth, Lancaster and Kendal areas with Advance - Driver Training. I am a fully qualified DVSA Approved Driving Instructor and offer driving lessons in the Morecambe, Lancaster and Kendal areas to a very high standard using the latest coaching and client centred techniques. The driving lessons are tailored to meet the needs of the individual through a professional, adaptable, friendly, relaxed and patient environment. I am an independent driving instructor, therefore not part of a franchise. Paul has recently (March 2018) taken the ADI Standards Check test (re-test) and has achieved a grade ‘A’. 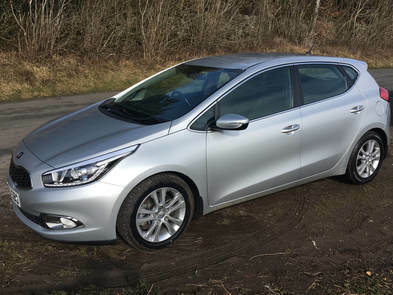 ​Driving lessons would be undertaken in a low emission, environmentally friendly dual controlled Kia Ceed with manual gears. Please contact me for prices and availability for driving lessons / driving instruction in the Morecambe, Lancaster and kendal areas. The price for the DVLA theory test is £23 and the practical driving test is £62.00 during the week, or £75.00 on a Saturday. The nearest driving test centres that are used are: Heysham (Morecambe / Lancaster) and Kendal. Please click on the 'Driving Courses' section to view the other driving courses I undertake. For further information or advice about the driving lessons then please use the Contact page. Learn to drive in the Morecambe, Lancaster, Heysham, Carnforth and Kendal areas. Driving lessons, driving tuition and driving instructor from Advance Driver Training. 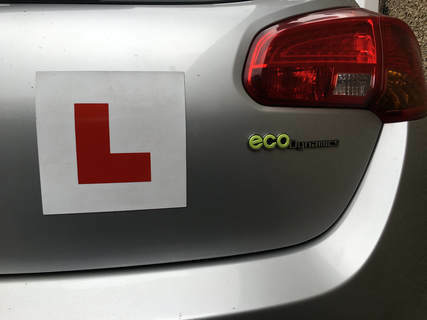 Driving lessons in the Morecambe and Lancaster area and covers Heysham, Lancaster University, Galgate, Carnforth, Caton, Halton, Kendal, Milnthorpe, Holme, Silverdale, Arnside, Burton in Kendal, Kirkby Lonsdale, Warton and Garstang areas.